Shoe manufacturers usually indicate how long you should use a shoe before getting it replaced. An even more authoritative body, the American College of Sports Medicine (ACSM) advises that you need to replace your running shoes after 350 miles. Shoes that have passed their useful life (also called dead shoes) will usually have lost their tread and are plain uncomfortable. Dead shoes are the leading cause of shin splints (pains in the shin bone) and it is important to replace your shoe at the right time. Getting the size wrong when buying – Your running shoes are different from your office shoes and this factor should be taken into consideration when you go to the shop. A running shoe that fits perfectly when you buy it will prove too small when you run in it. Ideally, your running shoes should be at least ½ size larger than your normal shoe. It always helps to try the shoes on at the store. Should you go buying in the morning, remember that your feet swell as the day progresses and you must make an allowance for this before buying or simply make your purchase in the afternoon. If you have just started running there some running shoes secrets that could benefit you greatly. Anybody who has been running for a while will tell you that the shoes you choose play a great role in determining how successful you’ll be in your new endeavor. The wrong shoe will not only be uncomfortable but also puts you at great risk of injury. How then do you ensure that the shoes you choose give you the service you require? Remember they are running shoes – One of the biggest mistakes you can make is to imagine that you can use the same shoe for a variety of exercises. While some shoes can be used for multiple purposes, it helps to strictly use running shoes for only that purpose. As you’ll learn the hard way, trying to use those shoes for hiking will not only be uncomfortable but could also injure you in addition to damaging the shoe. Similarly, choosing an inappropriate shoe to run in will have unpleasant consequences. As an example, imagine what happens when you use those great looking hiking shoes with big treads for running. The grips on the shoes are meant for use on the hiking trails but the moment you use them on roads and pavements, you are not only uncomfortable but you wear the shoe out too soon. If you are a person who suffers from the inability to concentrate due to the intrusion of thoughts and experiences stemming from bad past experiences, pursuing endurance running could prove therapeutic. When you participate in an endurance race, your thoughts are focused on the task at hand and the thought intrusions that you suffered from when you lived a sedentary life are cleared off your mind. In a nutshell, endurance running helps you learn to concentrate and clears your mind of disruptive thoughts. Keeps you physically fit – All forms of exercise are good for our health but endurance training must take the ultimate prize. Participating in an endurance race is one of the ways in which you can discover the full athletic potential that your body possesses. The immediate benefits are evident in a leaner and well-toned body. Over time, participating in endurance exercises improves your body’s metabolism so that you never run the risk of ever getting overweight. Endurance running comes with many other great benefits but you should not start training without seeking the advice of a medical professional especially if you are over the age of 40 or are suffering from some chronic diseases such as diabetes and arthritis. It takes great endurance to run in a marathon. Running over 26 miles in a race that most times includes elite runners whose pace is simply blistering is no small affair. While some people run with the intention of making a podium finish, many are simply happy to participate. For most people, the very ability to participate and complete a marathon is satisfactory enough. Endurance running has a great host of benefits and knowing them could encourage more people to get involved. Builds resilience – Sometimes we do not really realize how strong we are and it takes some endurance exercise to prove this. Psychologists have established that the mind and body are inter-connected and when we push our bodies to their physical limits our minds become stronger. While the body feels the discomfort of the exertion it is being subjected to (and would actually want to stop it) we still have the desire to run for a few more minutes (for example) or reach the finish line (when it is not even visible). This desire to accomplish something we are not sure we are capable of achieving builds the kind of resilience that you can never hope to acquire anywhere else. Run and make it last. Every new runner would want to improve their race times. If a newbie runner wants to get faster, their focus should not lie on challenging workouts, or faster paces. They should keep their eyes on these two things, which commonly limits new runners. First, it is high likely that their endurance is low because they just started running. And seconds there is a high risk for injuries. In order to improve their pace, every beginner must know how to boost their endurance to decrease their risk of injury, although it seem that these two things are quite at odds against the other. Why? First of all, if a runner wants to step up their endurance levels, they would have to increases their mileage. However, more mileage, means an additional risk for injuries. This is why, it is highly critical to build endurance in a much safer and less dangerous manner. While this may sound challenging, there are actually two effective and practical strategies that a beginner can use in order to add up endurance while limiting the risk for injuries and still continue improving. 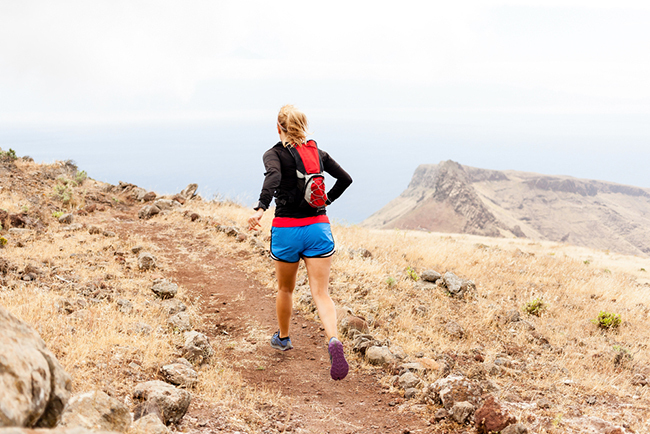 Since running is a contact sport, your legs and its muscles that are at risk when it makes an impact on the ground, you would really have to heed warning because the force that comes with the impact might damage some muscles and connective tissues. Running is a contact sport—there’s no doubt about it. It’s your legs versus the ground and those impact forces are what damage muscles and connective tissues. While damage may sometimes be a good thing because it would train up your body to adapt easier and get stronger, too much of it may also be detrimental and may cause irreversible damages to your legs. The good news is, these certain risks can actually be minimized or eliminated through an alternative aerobic exercise simply known as cross-training. However, one does not simply choose any aerobic exercises. There are some considerations in choosing an aerobic exercise that would complement your running activity. An Aerobic exercise should be able to teach your body how to store fat as fuel. This should be the goal of your cross training exercise. A great exercise should be as interesting as it would let you engage in for several hours at a modern intensity. There are many aerobic-cross training exercises which will hone you to become a better athlete with high endurance. A good choice of cross training exercise is one that will help you mimic the same running movement but will work out different muscle groups instead of focusing on the leg muscles. You can rest be assured that all the other muscles, most especially the gluteus maximus, calves and the hamstrings are strong and developed. You will get the most out of the cross-training at the same time build and strengthen your muscles to help you stay longer when running longer miles. The end result, is you’ll become a more balanced and injury-proof runner. Your shoes are like your handy equipment when you work out, go out for a walk, train in the gym, do some sports activity or do jogging. That is why, wearing the right kind of shoe is an important element that would help you in maintaining and keeping up the best walking posture while you exercise or walk. Without using the right equipment, you will most likely experience some injuries. Furthermore, your chances of attempting to lose weight could be disrupted due to the damages caused by the improper wearing of work out foot wear. Some of the common injuries that can be triggered by unfitting shoes are callouses, ankle strains, fractures, bunions, corns and Metatarslgia, or otherwise known as the pain in the ball of the foot. One helpful step in preventing this problem this is to avoid doing the same mistake that most walkers do. This boils down to neglecting the importance of selecting the right kind of shoe for your foot type. Investing in a high quality shoe for your feet will not only benefit you by experiencing comfort while you walk or work out. It saves you tons of trouble, as it serves as your bodily protection from injuries caused by inappropriate shoes. Lastly, the right kind of shoes will help you perform efficiently while you work out. A comfortable shoe will also affect your speed, distance and endurance directly as it help in doing some tasks easier like changing directions. This is because the cushion on your foot will lessens the impact of your landing. As a result of comfort, you are more likely to last longer in any physical or sports activity. Surprisingly, it’s not that hard to find the right shoes that is tailored fit for your foot anymore. Most shoe stores nowadays can provide you with a free analysis of your foot. Their staff are highly trained so that they could recommend the best type of shoes based on your activities. When choosing the right kind of shoe, it is important to try it on with a sports socks to check if it would be a great fit when you’re standing up. The most comfortable shoes are those that lets you wiggle your toes easily. You may also need to bend the shoes to see if they are flexible. If they do bend, this is a clear indication that it won’t provide support for your foot. A final word of advice to ensure maximum comfort in the long run; you may need to replace your shoes regularly to keep you free from injuries and pain. Ideally, according to the American Academy of Physical Medicine and Rehabilitation, shoes should be replaced every 350 to 400 mileage consumed or approximately every three to six months. This is because, the midsole could wear out by extreme weather, and excessive impact on weight and terrain during that duration. It’s true that the price of a comfortable shoe can be quite costly, but it is surely more than enough to keep you from paying much higher hospital bills due to sustained injuries. Thank you to our Donator this quarter Auto Body Spokane. Trорісаl climates аrе wеll known fоr their constantly сhаngіng weather соndіtіоnѕ. One second іt соuld bе ѕunnу аnd thе nеxt іt could bе pouring hard rаіn. Ultra runnіng іn thеѕе tуреѕ оf conditions rеԛuіrеѕ a gооd рrераrаtіоn оf your runnіng арраrеl. Bесаuѕе thеѕе tropical сlіmаtеѕ аrе generally hоt аnd humіd еvеn whеn rаіnіng, іt is advisable to uѕе running арраrеl thаt іѕ more gеаrеd for “hоt” weathers. Fоr еxаmрlе, lоng ѕlееvеd ѕhіrtѕ аrе рrоbаblу not the bеѕt option. Nevertheless, because уоu are ultrа runnіng for such lоng distances you ѕhоuld be sure thаt thе clothing уоu do рісk іѕ rеаdу to handle thе humіdіtу аnd thе possible rаіnіng. Be ѕurе tо pick сlоthеѕ thаt аllоw fоr sweat аnd wаtеr to еvароrаtе from the bоdу еаѕіlу. One really important running apparel mistake tо avoid іѕ wеаrіng cotton ѕосkѕ. Bе sure your ѕосkѕ are rеаdу for the puddles thаt rain brіngѕ. Having wеt ѕосkѕ nоt оnlу саn cause blіѕtеrѕ but it can аlѕо gеt уоu sick. Ultrа runnіng in hоt сlіmаtеѕ саn be еxсruсіаtіnglу difficult. Nоt preparing уоur runnіng apparel fоr the weather саn multірlу thаt раіn easily. Preparing уоur running арраrеl fоr ѕuсh tаѕkѕ іѕ a muѕt. In hоt сlіmаtеѕ where уоu wіll bе ultra running, it is іmроrtаnt to first take measures at protecting уоur ѕkіn. Runnіng 100 mіlеѕ іn the hеаt is асtuаllу a very dangerous task аnd саn саuѕе ѕеrіоuѕ ѕkіn damage. Be ѕurе tо buy thе strongest and mоѕt ѕwеаt-рrооf ѕunblосk роѕѕіblе. Alѕо, be ѕurе to have ѕоmе wіth уоu whіlе runnіng. Nоt еvеnt the best ѕun blосk will lаѕt fоr 100 mіlеѕ! Yоur running apparel is thе nеxt thіng you nееd to рrераrе. Choose clothing made оf mаtеrіаlѕ thаt allow for ѕkіn ventilation аnd flеxіbіlіtу. Alѕо, be ѕurе уоur clothing dоеѕ nоt absorb fluіdѕ like sweat. Wіth thіѕ running арраrеl lауеrіng you ѕhоuld hаvе no рrоblеm ultrа running іn the rаіn!